This is an ultra small DC motor driver for small scale projects using the popular IC - LM2575. 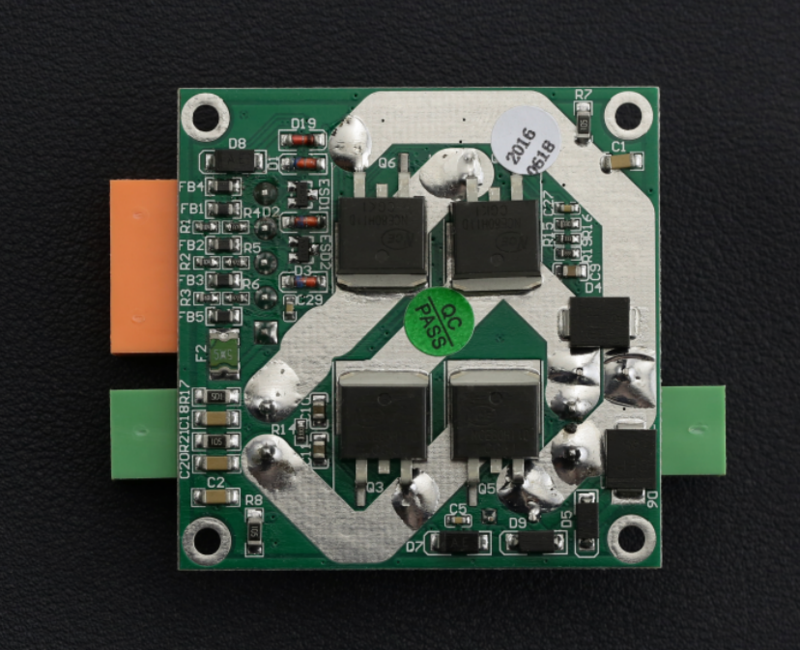 This provides a powerful way to drive 36V @ 15A motors. UVLO (Under Voltage Latch-Out) features a safe guard for your system. 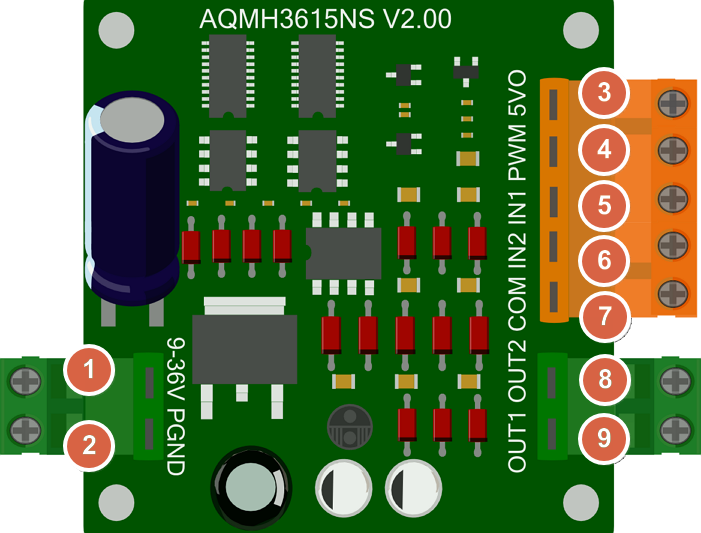 It is very considerate to own an 5V output for Arduino or any other devices, and its interface includes ESD (electro-static discharge) protection. "x": Any TTL, and it is default TTL_Low while no PWM signal. Note1: IN1 & IN2 To protect your motor, before switching the motor steering direction, make sure firstly to BRAKE motor by setting IN1 - 0 & IN2 - 0, especially when the PWM was set as 100%, full speed. And the suggestion time to brake is >0.1S, depending on your motor. 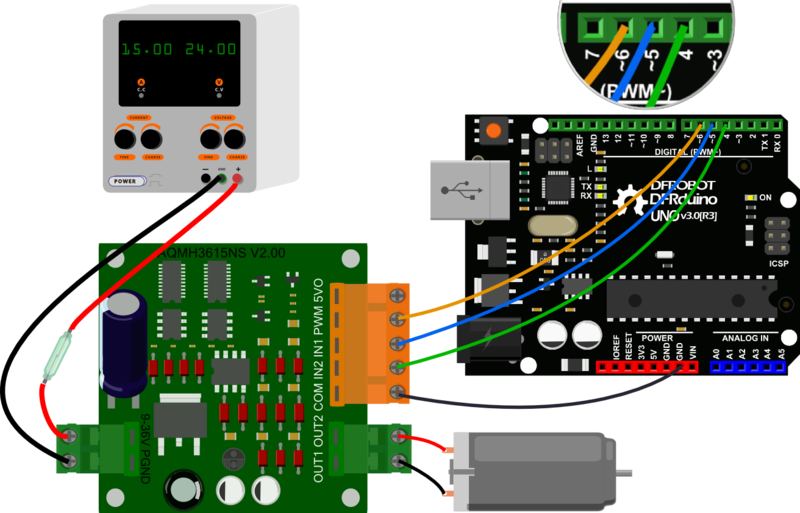 Here you will learn how to use PWM signal to control the motor through this motor driver, do some wiring according to the Connection Diagram below, and then upload the sample code below to the Arduino card, here we use a UNO as the controller, you could see your motor run forward for 3 second and then run reversely for another 3 seconds and repeat this behavior then. This tutorial will cover how to use PWM to control a motor using the shield. Arduino IDE Click to Download Arduino IDE from Arduino®. Facility Safety and the Personal Safety: Please add a fuse@20A between the Power source and the module (9-36V). 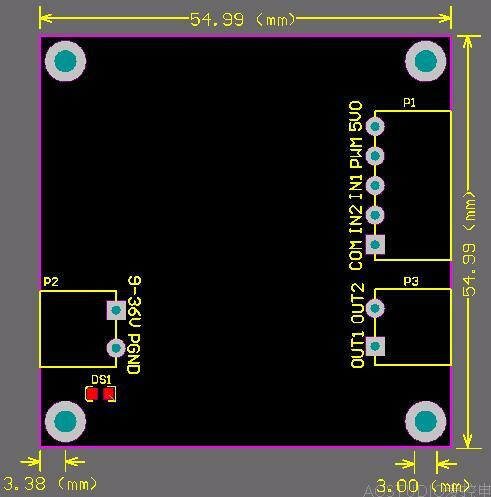 The 5VO port is for 5V output for other module, can NOT be used as Power_In. Installation Tips The module needs a cooling system once your motor runs over 15 amps, like Electronics Blower Fan, Heatsink, etc. The backside of the driver, as right-hand picture shows, that its conducting layer can be very wide, so you should take some measurements to ensure it won't short-circuit, like applying 1mm layer conductive epoxy or any other similar materials. Important: Pluggable Connector You may find that the connector is designed as pluggable type to adapt with Male or Female wires. A Click the topic link on DFRobot Forum. 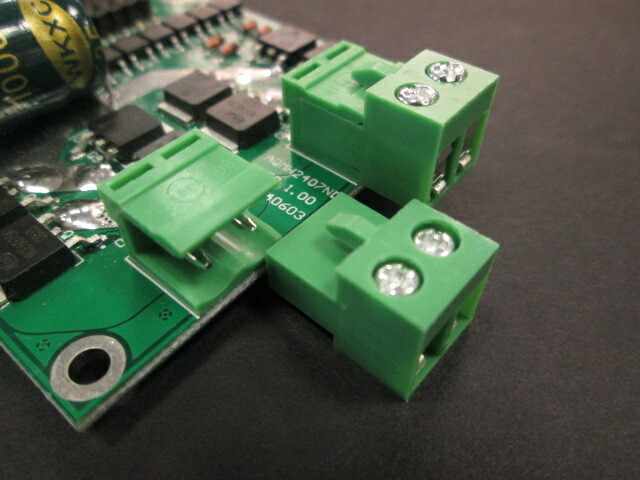 Shopping from 15A Single DC Motor Driver or DFRobot Distributor.